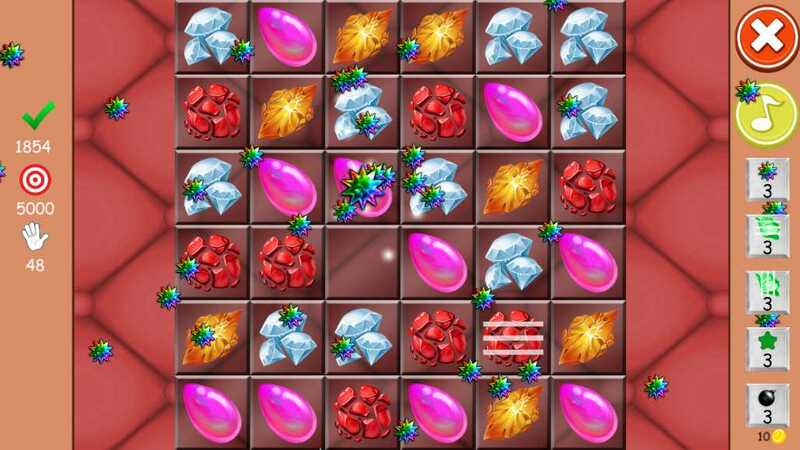 Get all gemstones in this match 3 game. 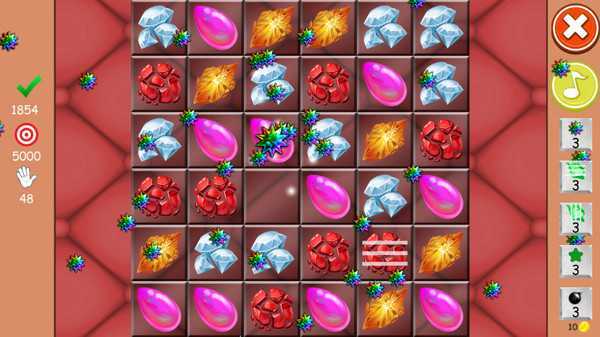 Slide the gemstones to combine them and create combinations of 3 or more gemstones. Lot of levels to finish, many different missions with different types of restrictions. 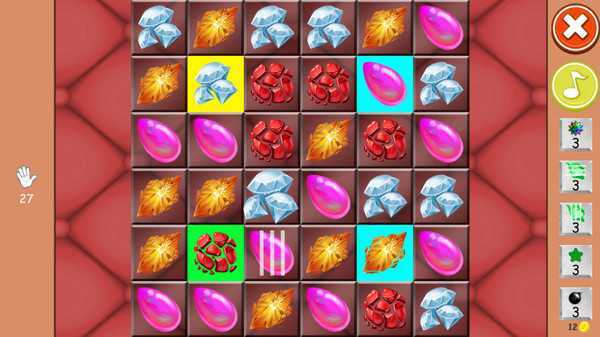 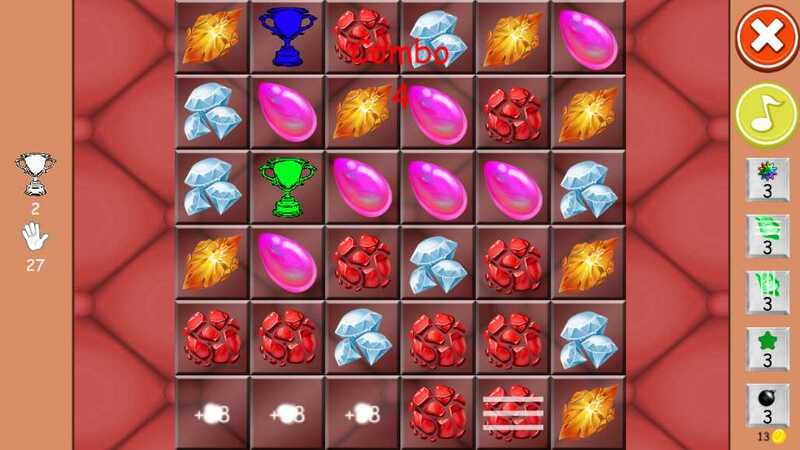 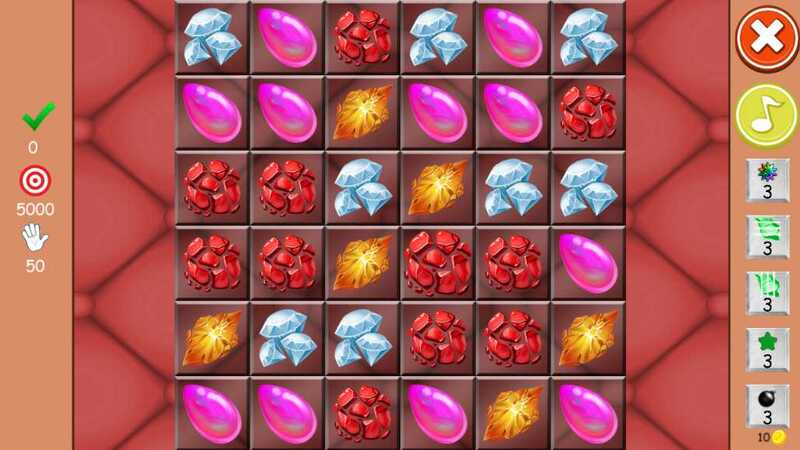 Combine all gemstones to complete the many different missions in this match 3 game.